What is a Suzuki BOULEVARD M50? Suzuki Boulevard M50: The Suzuki Boulevard M50 boasts unrivaled muscle cruiser styling along with a healthy injection of Suzuki technology. The first thing to strike you is its hard-tail design, which - thanks to an advanced rear suspension system - provides a comfortable and responsive ride. Of course, the muscle styling cues don't end there. Check out its pullback bars, contoured saddle, sculpted rear fender and eye-catching slash-cut chrome mufflers. The Suzuki Boulevard M50 has performance to match its image. Its liquid-cooled 50-cubic-inch V-twin engine features an advanced Suzuki fuel injection system that gives it terrific torque down low and an incredibly wide powerband. Very clean bike. Runs great. Lots of power. Great for a beginner or experienced rider. Custom Vance and Hines pipes. Leather saddle bags. 2018 Suzuki Boulevard M50, Price includes Suzuki Customer Cash instead of Promotional Financing 2018 Suzuki Boulevard M50 The Suzuki Boulevard M50 is a muscle cruiser with sleek, yet powerful styling that includes slash-cut mufflers, a hard-tail look, and drag-style bars. The distinctively shaped headlight nacelle presents a look that’s uniquely Suzuki. Wherever you ride, the M50 offers responsive handling and an exceptionally comfortable ride, thanks to its inverted forks, smooth, single-shock rear suspension and ideally designed saddle. Its 50-cubic-inch V-twin engine with advanced Suzuki fuel injection is equally impressive, producing a load of torque for strong acceleration in every gear. Features may include: Climb aboard a true classic. Kick back and enjoy the timeless style that made riding synonymous with freedom. It’s all about the laid-back stance, broad saddle, and that irresistible rumble that only a cruiser can provide. ENGINE Robust 805cc (50 cubic inch) liquid-cooled, fuel-injected V-Twin powerplant is built to deliver exciting torque from down low in the rpm range. Smooth black finish on the engine and air cleaner covers complements the muscular presence of the V-twin’s finned cylinders. Crankshaft design features 45-degree offset crank pins to reduce engine vibration without a balancer shaft for a more comfortable ride. Electronic fuel injection system features the Suzuki Dual Throttle Valve System (SDTV) - maintains optimum air velocity in the intake tract for smooth low-to-mid rpm throttle response and high torque output. Multi-hole-type fuel injectors deliver a fine spray for a powerful yet fuel-efficient operation. CHASSIS Strong, double-cradle steel frame supports a chassis ready for street-cruising or a cross country tour. Link-type rear suspension connects to a truss-style swing arm and a single shock absorber with 7-way spring preload adjustability providing 4.1 inches of smooth and response suspension travel. Large 300mm front brake rotor and rigid caliper bring strong braking performance to match the engine’s output. Suzuki performance-cruiser styling is sleek and flowing throughout from the distinctive headlight nacelle to the purposeful tail section. ADDITIONAL Optional single seat cowl can replace the passenger seat for an even more aggressive look or for use on solo rides. Genuine Suzuki accessory options for the M50 include clean-fitting, functional saddlebags. 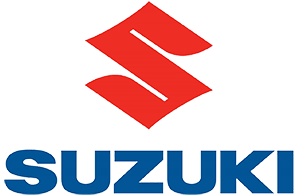 More Genuine Suzuki Accessories for Boulevard owners are available including a large selection of Suzuki logo apparel. 2017 Suzuki Boulevard M50The Suzuki Boulevard M50 is a muscle cruiser with sleek styling that includes slash-cut mufflers, a hard-tail look, and low-rise bars. Wherever you ride, the M50 offers responsive handling and an exceptionally comfortable ride, thanks to its inverted forks, smooth, single-shock rear suspension and ideally designed saddle. Its 50cc V-twin engine with advanced Suzuki fuel injection is equally impressive, producing a load of torque for strong acceleration in every gear. 2016 SUZUKI M50 BOULEVARD 800, We provide more detailed information as well as additional photos on our website. To view that information, please click on the "view website" link in the details section below. Most of our bikes are sold fully serviced, detailed and have a nationwide warranty of up to 90-days. And yes, we also take trades! Bike in excellent condition, very low mileage (2,000), windshield, saddlebags, platform, engine guard. No scratches. 2013 Suzuki Boulevard M50, Sky Powersports North Orlando is now Florida's ONLY Suzuki Motorcycle Outlet! We have the largest selection of NON-Current inventory. We buy Factory Clearance models and are able to pass those savings along to you. Pick it out then take it for a test ride! We are the Test Ride/Demo Headquarters. Sky Powersports North Orlando is now Florida's ONLY Suzuki Motorcycle Outlet! We have the largest selection of NON-Current inventory. We buy Factory Clearance models and are able to pass those savings along to you. Pick it out then take it for a test ride! We are the Test Ride/Demo Headquarters. 2013 Suzuki® Boulevard C50 One word comes to mind to describe the Suzuki Boulevard C50 - classic. The C50 is a cruiser that offers classic styling, unmatched comfort, and excellent performance. With kicked out front ends, wide handlebars, smooth suspension, and well-cushioned seating; Suzuki's design team has the rider's comfort in mind. The C50 boasts a fuel-injected, 45-degree, V-twin engine that cranks out 805cc that generates abundant torque down low and matched by exciting top-end performance. Features May Include EngineNarrow 805cc, fuel injected, liquid-cooled, SOHC, four-valve-per-cylinder, 45-degree V-twin engine is tuned for exceptional low RPM torque.Digitally tuned with throttle-position sensors to provide even more low-end torque from the big V-Twin engine.Suzuki Dual Throttle Valve (SDTV) electronic fuel-injection system maintains optimum air velocity in the intake tract for smooth low-to mid-RPM throttle response. TransmissionA wide-ratio five-speed transmission features a high fifth gear ratio for relaxed highway cruising. Low-maintenance shaft drive is clean-running and offers low torque reaction. ChassisA kicked-out, 33-degree rake and long 65.2-inch wheelbase provides a smooth, comfortable ride.Telescopic forks provide 5.5 inches of smooth suspension travel.Link-type rear suspension is shaped to mimic the hard-tail lines of a traditional cruiser, connecting a truss-style swing arm and a single shock absorber with 7-way spring preload adjustabililty providing 4.1 inches of smooth and response suspension travel. Additional Features May IncludeWide handlebars, forward-mounted floorboards, and leather-textured seat provide a comfortable ride around town and on the highway.The instrument cluster includes a convenient gear-position indicator, a large fuel meter, and a clock always on display.Styling incorporating timeless laid-back style in the cruiser heritage: rich paintwork, glittering chrome and deep front and rear fenders with rounded ends. 2013 Suzuki Boulevard M50, Sky Powersports North Orlando is now Florida's ONLY Suzuki Motorcycle Outlet! We have the largest selection of NON-Current inventory. We buy Factory Clearance models and are able to pass those savings along to you. Pick it out then take it for a test ride! We are the Test Ride/Demo Headquarters. Sky Powersports North Orlando is now Florida's ONLY Suzuki Motorcycle Outlet! We have the largest selection of NON-Current inventory. We buy Factory Clearance models and are able to pass those savings along to you. Pick it out then take it for a test ride! We are the Test Ride/Demo Headquarters. 2013 Suzuki Boulevard M50 The 2013 Suzuki Boulevard M50 is a modern cruiser with cutting-edge performance while retaining its classic looks. It features our advanced fuel-injected 805cc V-twin engine which delivers a robust, responsive power. The M50’s sleek styling — including slash-cut mufflers, a hard-tail design and low-rise bars — promises aggressive performance that delivers. Better yet, the M50 has precise handling and exceptional ride quality, especially when you’re out for a long ride. Features May Include Engine805cc Fuel-injected, liquid-cooled, fuel-injected V-Twin, engine is built to deliver exciting torque from down low in the rpm range.Electronic fuel injection system features the Suzuki Dual Throttle Valve System (SDTV) - maintains optimum air velocity in the intake tract for smooth low-to-mid rpm throttle response and high torque output. Multi-hole-type fuel injectors deliver a fine spray for a powerful yet fuel-efficient operation. TransmissionFive-speed transmission features a high fifth gear ratio for relaxed highway cruising. Low-maintenance shaft final-drive system is clean-running with low torque reaction. ChassisLink-type rear suspension connects to a truss-style swingarm and a single shock absorber with 7-way spring preload adjustment. Sharp-edged-styled front fender adds to the clean look of the front end, while the bob-tail rear fender adds to the flowing lines at the rear. AdditionalHandlebar-mounted speedometer styled for a clean appearance and positioned for good visibility. Large LED-type taillight with a clear lens provides a modern custom look. Powerful multi-reflector headlight housed in an attractive case with stylish headlight rim - headlight switches off during startup to reduce load on battery.  2019 Suzuki Boulevard M50, 2019 Suzuki Boulevard M50 The Suzuki Boulevard M50 is a muscle cruiser with sleek, yet powerful styling that includes slash-cut mufflers, a hard-tail look, and drag-style bars. The distinctively shaped headlight nacelle presents a look that’s uniquely Suzuki. Wherever you ride, the M50 offers responsive handling and an exceptionally comfortable ride, thanks to its inverted forks, smooth, single-shock rear suspension and ideally designed saddle. Its 50-cubic-inch V-twin engine with advanced Suzuki fuel injection is equally impressive, producing a load of torque for strong acceleration in every gear. Features may include: Climb aboard a true classic. Kick back and enjoy the timeless style that made riding synonymous with freedom. It’s all about the laid-back stance, broad saddle, and that irresistible rumble that only a cruiser can provide. ENGINE Robust, 805cc (50 cubic inch), liquid-cooled, fuel injected, V-twin powerplant is built to deliver exciting torque from down low in the rpm range. Smooth black finish on the engine and air cleaner covers complements the muscular presence of the V-twin’s finned cylinders. Crankshaft design features 45-degree offset crank pins to reduce engine vibration without a balancer shaft for a more comfortable ride. CHASSIS Strong, double-cradle steel frame supports a chassis ready for street-cruising or a cross country tour. Link-type rear suspension connects to a truss-style swingarm and a single shock absorber with seven-way spring preload adjustability providing 4.1 inches of smooth and responsive suspension travel. Large 300mm front brake rotor and rigid caliper bring strong braking performance to match the engine’s output. ADDITIONAL Optional single seat cowl can replace the passenger seat for an even more aggressive look or for use on solo rides. Genuine Suzuki accessory options for the M50 include clean-fitting, functional saddlebags. More Genuine Suzuki Accessories for Boulevard owners are available, including a large selection of Suzuki logo apparel. The Suzuki Boulevard M50 is a muscle cruiser with sleek, yet powerful styling that includes slash-cut mufflers, a hard-tail look, and drag-style bars. The distinctively shaped headlight nacelle presents a look that’s uniquely Suzuki. Wherever you ride, the M50 offers responsive handling and an exceptionally comfortable ride, thanks to its inverted forks, smooth, single-shock rear suspension and ideally designed saddle. Its 50-cubic-inch V-twin engine with advanced Suzuki fuel injection is equally impressive, producing a load of torque for strong acceleration in every gear.Features may include:Climb aboard a true classic. Kick back and enjoy the timeless style that made riding synonymous with freedom. It’s all about the laid-back stance, broad saddle, and that irresistible rumble that only a cruiser can provide.ENGINE Robust, 805cc (50 cubic inch), liquid-cooled, fuel injected, V-twin powerplant is built to deliver exciting torque from down low in the rpm range. Smooth black finish on the engine and air cleaner covers complements the muscular presence of the V-twin’s finned cylinders. Crankshaft design features 45-degree offset crank pins to reduce engine vibration without a balancer shaft for a more comfortable ride. CHASSIS Strong, double-cradle steel frame supports a chassis ready for street-cruising or a cross country tour. Link-type rear suspension connects to a truss-style swingarm and a single shock absorber with seven-way spring preload adjustability providing 4.1 inches of smooth and responsive suspension travel. Large 300mm front brake rotor and rigid caliper bring strong braking performance to match the engine’s output. 2019 Suzuki Boulevard M50, 2019 Suzuki Boulevard M50 The Suzuki Boulevard M50 is a muscle cruiser with sleek, yet powerful styling that includes slash-cut mufflers, a hard-tail look, and drag-style bars. The distinctively shaped headlight nacelle presents a look that’s uniquely Suzuki. Wherever you ride, the M50 offers responsive handling and an exceptionally comfortable ride, thanks to its inverted forks, smooth, single-shock rear suspension and ideally designed saddle. Its 50-cubic-inch V-twin engine with advanced Suzuki fuel injection is equally impressive, producing a load of torque for strong acceleration in every gear. ENGINE Robust, 805cc (50 cubic inch), liquid-cooled, fuel injected, V-twin powerplant is built to deliver exciting torque from down low in the rpm range. Smooth black finish on the engine and air cleaner covers complements the muscular presence of the V-twin’s finned cylinders. Crankshaft design features 45-degree offset crank pins to reduce engine vibration without a balancer shaft for a more comfortable ride. CHASSIS Strong, double-cradle steel frame supports a chassis ready for street-cruising or a cross country tour. Link-type rear suspension connects to a truss-style swingarm and a single shock absorber with seven-way spring preload adjustability providing 4.1 inches of smooth and responsive suspension travel. Large 300mm front brake rotor and rigid caliper bring strong braking performance to match the engine’s output. ADDITIONAL Optional single seat cowl can replace the passenger seat for an even more aggressive look or for use on solo rides. Genuine Suzuki accessory options for the M50 include clean-fitting, functional saddlebags. More Genuine Suzuki Accessories for Boulevard owners are available, including a large selection of Suzuki logo apparel. The Suzuki Boulevard M50 is a muscle cruiser with sleek, yet powerful styling that includes slash-cut mufflers, a hard-tail look, and drag-style bars. The distinctively shaped headlight nacelle presents a look that's uniquely Suzuki. Wherever you ride, the M50 offers responsive handling and an exceptionally comfortable ride, thanks to its inverted forks, smooth, single-shock rear suspension and ideally designed saddle. Its 50-cubic-inch V-twin engine with advanced Suzuki fuel injection is equally impressive, producing a load of torque for strong acceleration in every gear. *Photos shown with optional tail cowl installed Key Features New Metallic Matte Fibroin Gray paint and graphics amplify the Boulevard M50's muscular look. Fifty cubic inch (805cc), 45-degree, V-twin engine rumbles through the staggered dual mufflers as it puts power through the shaft drive and down into the wide rear tire. The headlight nacelle, short risers, and drag-style handlebar form a distinctive Suzuki style that telegraphs the M50's performance intentions. The bodywork is sleek and purposeful from nose to tail and looks even sleeker when the optional tail cowl is on in place of the passenger seat. The large-diameter inverted forks and beefy swingarm with hidden rear shock give the bike a tough, aggressive stance but deliver a smooth, controlled ride. Engine Features Robust, 805cc (50 cubic inch), liquid-cooled, fuel injected, V-twin powerplant is built to deliver exciting torque from down low in the rpm range. Smooth black finish on the engine and air cleaner covers complements the muscular presence of the V-twin's finned cylinders. Crankshaft design features 45-degree offset crank pins to reduce engine vibration without a balancer shaft for a more comfortable ride. Electronic fuel injection system features the Suzuki Dual Throttle Valve System (SDTV) that maintains optimum air velocity in the intake tract for smooth low- to mid-rpm throttle response and high torque output. Multi-hole-type fuel injectors deliver a fine spray for a powerful yet fuel-efficient operation. An automatic Idle Speed Control (ISC) system eliminates the choke and shortens the engine's warm-up time. Powerful 32-bit-processor Engine Control Module (ECM) helps ensure precise fuel injection control. Cutting-edge 3D-mapped digital ignition system using a throttle-position sensor helps boost the hallmark big V-Twin's down-low torque. Chromed and staggered dual exhaust system mounted on the right side of the engine is tuned for responsive torque delivery providing a deep, rumbling exhaust note. 2019 Suzuki Boulevard M50, ACCESSORIES NOT INCLUDED * Pricing is AFTER all applicable incentives have been applied. PLUS destination, set-up-assembly, tax, title, lic & negotiable doc fee of up to $150.00 may be added to the sale price.